This 1910 original story and a half 3 bed 1 bath home was converted into a 3 bed 3 bath, vaulted 2 story with a finished basement. The construction included a complete gut and remodel of the interior and exterior. The entire second level was demolished and reframed as an addition to create a 2-story home, which resides on a corner lot in Northeast Minneapolis. 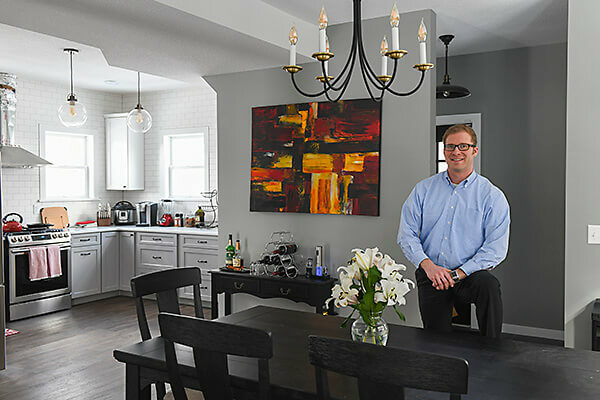 This home was purchased and rehabilitated by an owner occupant developer through the Minneapolis Homes: Build or Rehab program (www.minneapolishomes.org) offered by the City of Minneapolis. It’s a great find, near some of my family, arts, entertainment, recreation and the Mississippi River. The extensive remodel includes a classic restoration with rustic modern approach that took close to a year to finish.